Before we get into the nitty gritty of how to grow a beard, let’s talk a little about just how awesome beards are. Throughout history, the physical definitions and depictions of masculinity have continually changed and will, most likely, continue to do so for years and years to come. Although the appropriate clothes, body types, and overall demeanors for men lack that timeless consistency, one physicality has beaten the odds. 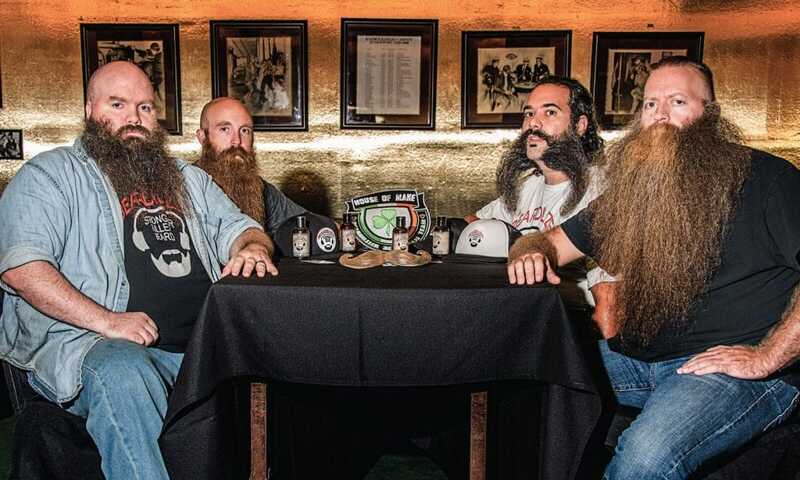 Beards have been, and will probably remain, one of the very emblems of what a “man” is. But while this physical mark of masculinity continues to be seen as glorious and glamourous, many men, whether they’re teens or adults, struggle to get one growing out or growing back. Sure, beauty is pain; spending your life savings on intense hair growth surgeries and treatments must be worth the fight, right? Believe it or not, not being blessed with a thick and fast hair growth gene might not be the main reason you can’t get a strong, solid beard; your lifestyle, what you eat, and what you’ve tried in the past are all major factors in how your facial hair grows. With that being said, let’s knock out a common assumption right off the bat: testosterone, or lack of, isn’t really the main culprit when it comes to your hair loss. Instead, we’ve got something called DHT (Dihydrotestosterone), found to be one of the major factors and components in hair loss and male pattern baldness. Without going too much into detail, DHT is an androgen, responsible for the biological characteristics that exemplify males. So, while you’re thanking DHT for your increased muscle mass and deep voice, you’re left wondering where your beard is and why it won’t grow. As they work together and regulate facial hair growth, testosterone promotes hair follicle stimulation, while DHT actually does the job of directly increasing that facial hair growth density and thickness. When you’ve got low levels of both testosterone and DHT, growing a beard is going to be a lot less easy. So, the concept is simple: increase your levels of testosterone and DHT. But, the fact of the matter is that it can take some big lifestyle changes, along with some time and patience, to grow your beard. That being said, it’s not impossible, and there are steps you can take to finally having that beard you’ve always dreamed of. Cortisol, the stress hormone, directly impacts and lowers levels of testosterone and DHT, causing majorly weakened hair growth. Simply put, the more stress you’ve got, the lower those levels are going to get, so take a moment to figure out how you can change this for yourself. No, it’s not an overnight solution, as your individual lifestyle could be full of stress-inducing factors, but small steps can help reach your beard-growing goals. Getting more sleep, finding calming techniques that work for you, and taking a bit of time to relax and center yourself can help revamp and restore those lost levels that play such a big part in hair growth stimulation and promotion. So, don’t be afraid to sit back and relax while you wait for your beard to grow. It’s a common fact that drinking alcohol too regularly can have harmful effects on your body, but it can also play a part in slowing down the growth of your beard. Binge drinking and abusing alcohol can severely lower testosterone and DHT levels, which may be a huge, but less obvious factor for some when trying to get that facial hair growing. Sure, a few drinks here and there won’t hurt, but too much can do some unwanted damage. Another piece of info that tends to be common knowledge is that exercising provides beneficial effects for your body. Whether you’re trying to grow a beard or not, exercise is immensely vital when it comes to your overall health and well-being, so it’s a good habit to start adding to your daily routine. 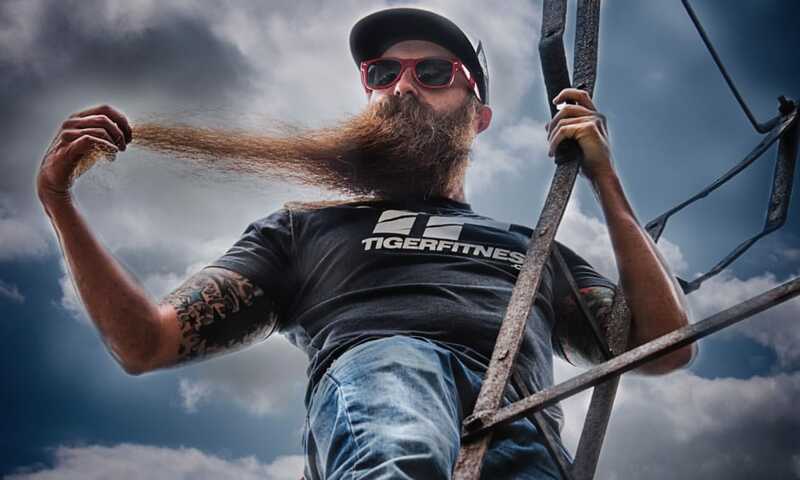 As for hair growth, resistance training, specifically, can majorly increase those testosterone levels and improve circulation in your hair follicles, which, of course, can help that beard grow long and strong! So, if you tend to drink a lot and work out just a little, try flipping your routine into one that will actually promote that beard growth. Now, you don’t have to be America’s most macho man, who never takes a sip of alcohol, but cutting back on one bad habit and introducing one that’s beneficial can really allow your beard to grow. Starting from within your body is extremely important when wanting beautiful physical results. So, if you want to help your beard grow, eat the right stuff, and stop with the bad. Eating protein, fat, and a lot of good carbs regularly can aid in stimulating your facial hair growth. Animal protein (meat, cheese, etc.) and monounsaturated fats (olives, whole milk, avocados, etc.) can raise both levels of testosterone and DHT, while polyunsaturated fats (fatty fish, coffee, etc.) can do the opposite and lower those levels. As for carbs, don’t listen to those people who swear by any carb-free diet; get those carbs inside your belly by eating foods like fruit and potatoes, which can be wonderful for hair growth stimulation. While the right foods are the best for aiding in growing your beard, vitamins shouldn’t ever be forgotten. Now, supplements you see on commercials that advertise unbelievably rapid hair growth overnight may not be the way to go; those gimmicky “vitamins” will, most likely, do you no good or help you make any real progress. Feeding your body good, healthy vitamins like amino acids, micronutrients, and herbs can seriously stimulate your facial hair follicles, making them grow much faster. 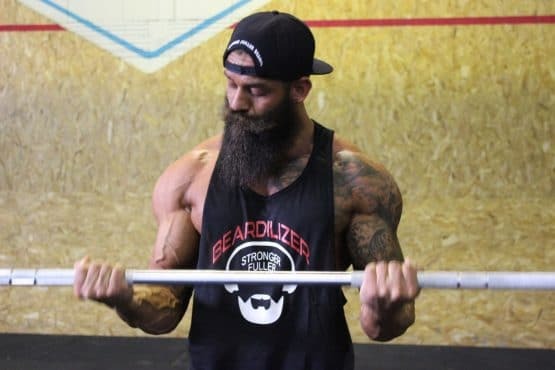 Here at Beardilizer, we’ve practically written the book on how to grow a beard, and one of the quickest way to achieve results is to try our Beardilizer Beard Growth Vitamins For Men. It’s a great option for those looking for strong and effective supplement, as it contains the ingredients needed to jump start and maintain immense beard and mustache growth. This nourishing facial hair supplement won’t dry out skin, as many other supplements on the market tend to do, making for a comfortable, safe experience. In all, feeding your body with the right foods and vitamins can make or break your beard-growth progress, so don’t be afraid to make a change to your usual diet when trying to grow some facial hair. Step 4: Leave Your Beard Alone! It may become tough not to touch up or trim your beard every now and then during the awkward appearance that comes with its growing process, especially within the first month. People do say that a trim every now and then can make your hair grow faster and thicker, but don’t believe them! Leaving your beard alone during the first 4 weeks of growth is crucial, as it will continue to grow faster during that time without those small cuts and snips. That stiff hair you’ll first get needs to soften before being experimented with, so waiting is key. If you’re worried about looking like a wild bush-man, don’t fret too much, as you can begin to cut and shape your beard to your liking once you reach week 5 or 6! Once you’ve got your routine down, make sure to maintain it consistently; it’s okay to try out new products here and there, as some on the market have said to truly help hair growth stimulation. Safer options like topical creams and sprays can be an easy, effortless way to ensure a thicker beard. The Beardilizer Beard Growth Spray can be used to promote healthier, stronger, and faster hair growth, as it provides the right nutrients and ingredients for a thicker, harrier beard and mustache. We hope we’ve helped you get a better handle on how to grow a beard. It’s pretty clear what we’ve learned today: beard growth can depend greatly on your lifestyle and body habits. Picking up the proper routines can truly increase those levels of testosterone and DHT, causing you to finally see your facial hair making real progress. So, if you’ve been searching for some major hair growth help, go ahead and treat your body with a little TLC and boost that beard growth from the inside out!